In a cloud-enabled, always-connected world, you can’t afford communication solutions that don’t keep up. At Noventech Inc, we’ve built a reputation on delivering the best cloud solutions and onsite VoIP services to businesses in the Chicagoland area. Regardless of business type or industry, existing infrastructure or budget, we’ll find the right fit for your phone needs. Message us here to start the conversation. By using the Noventech solution your ongoing telco cost savings will be so significant and so will the cost of buying, expanding and maintaining your PBX. Make free Inter-office calls and branch calls. Use prominent SIP trunks to reduce outbound call charges. Reduce travel expenses with integrated web conferencing. 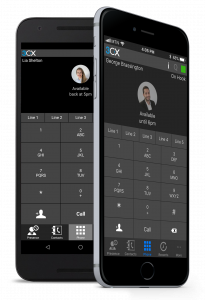 Eliminate 800 number phone bills with WebRTC integration. Use International DIDs & IP Telephony so customers can call in at competitive rates.